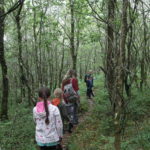 As part of an exciting programme of activities connected to our Heritage Lottery Fund project “Future Halsway”, there will be a number of events open to the public, free of charge. These will include heritage open days, a folklore walk for families, a seasonal folklore supper, a folk arts taster day and many more. These will be updated as dates are confirmed. Sunday 13th January 2019 (6 – 9 pm). Families welcome. Tim Hill is a musician and researcher based in Somerset. Much of his work is outdoors, creating music for shows, celebrations and festivals. He also researches outdoor music and processions and how we use sound in ritual and celebration. He plays in the Mellstock band, recreating the music of nineteenth century England. This New Year Halsway Manor is throwing open its doors to the public. From Monday 21st to Friday 25th January, come visit us for a rare chance to explore this beautiful Grade 2* listed building, as well as viewing two exciting temporary art exhibitions. We want to celebrate both memories of Halsway and key people in Halsway’s history whose creative legacy is in our care: painter Frances Gair Wilkinson and folklorist Ruth Tongue. Frances Gair Wilkinson owned Halsway Manor, where she used to run art classes, before selling up in 1965. Halsway is the caretaker of a wonderful collection of her and her parents Arthur and Lily’s oil and watercolour paintings, including scenes from Somerset and further afield in Italy and Bavaria. A must for all fans of landscape painting these recently restored works are on display to the public for the first time. Ruth Tongue was a local folklorist, dramatist and storyteller. 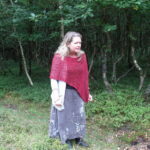 She is well remembered in old age, but Halsway has permission to exhibit images taken from a beautiful handwritten and painted book of folktales from her earlier years, giving a rare insight into the creative mind of Ruth as a young woman. Alongside this, visitors will get a chance to see elements of contemporary artist Andrea Oke’s Shadowlands project that was inspired by Ruth and exhibited as part of Somerset Open Studios 2018. As well as the two exhibitions there will also be a display celebrating the personal memories of Halsway. We are also planning a private view on Monday 21st January – time TBC so watch this space! Whether you are an art fan, a heritage enthusiast or just curious to see what Halsway has to offer, we look forward to welcoming you. See individual libraries for opening times at http://www.somersetlibraries.co.uk. Come and join us for even more family folk arts fun at this year’s summer fete. 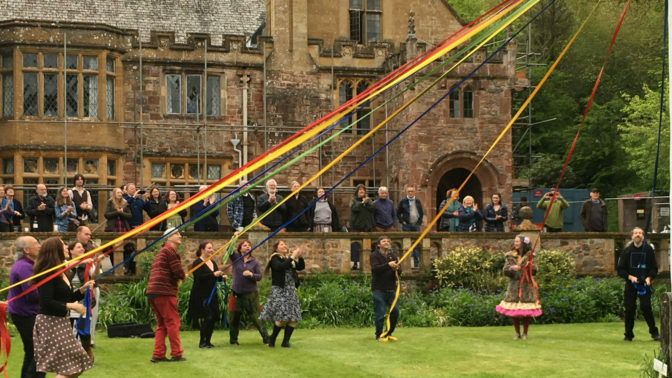 There will be a chance to try out a variety of things from Maypole and Morris, to blacksmithing and woodworking, to melodeon playing and more. Add in stalls, tea and cake and this is a brilliant day out for all the family. Come and join us for a family adventure full of storytelling, exploration and creativity for all ages. 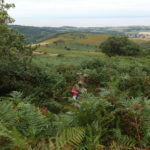 Come hunt for the Gurt Worm, the Quantocks own Dragon of the hills, to meet the fairy Lords and Ladies of Dowsborough hill fort, the Black Dog of Bicknoller, the witch from Crowcombe…. 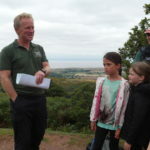 The Quantock hills are full of tales about magical and wonderful characters and we want you to discover them! 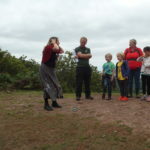 This event will combine the wonderful storytelling of Clare Viner, with chances to explore your own creativity and learn about the landscape from Quantock Hills AONB rangers, all whilst having a leisurely walk through beautiful countryside. 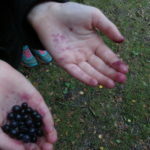 Clare Viner has been researching and telling these stories for many years. She brings a drum, laughter and magic, inviting you to dream into the landscape and find your own playfulness there. Meet 10.30am Dead Women’s Ditch (not as sinister as it sounds!) – follow the road up on to the hills from either Nether Stowey or Crowcombe. It is clearly marked as a stopping place and has parking. Bring a picnic lunch! This event is free, but as numbers are limited, please email your request to book a place to creative@halswaymanor.org.uk.